I had a lovely and cost efficient stay here! The apartments are very clean and modern. It is a nice, quiet place to stay not too far from the city centre. Easy to get to and from the airport by bus. I made friends with the girls in my room which made my stay wonderful. 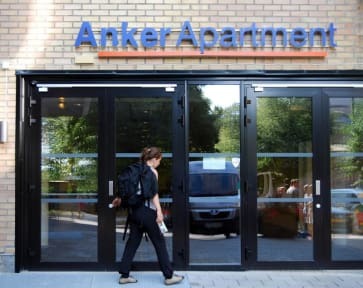 Anker Appartment is one of the cheapest hostel in Oslo, but I think it's still too expensive for what you are paying. You have an appartment but you have to pay extra for the bed sheets, or if you want to cook in your appartment. We were really surprise when we saw that the kitchen was empty and if you wanted to use kitchen stuff you have to rent it. The hostel is also really far away from the center. The staff is nice and helpful. It’s the cheapest place in Oslo with 30 beds dormitory. It’s located abit far from the city centre. They have an absolutely weird kitchen utensils policy.